Update: Nancy Zieman passed away in November 2017. You can see a tribute from Wisconsin Public Television here. When I was young, my mom often watched Sewing with Nancy on our local PBS station. I didn't care much for sewing, so I paid little attention ... except to note that there was something "wrong" with the host's face. 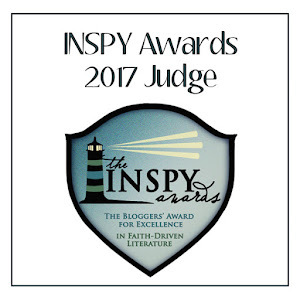 Throughout the years, I caught bits and pieces of Sewing with Nancy here and there, but I never really considered the woman behind the show until I was offered the opportunity to review this book. In an age when hard-working women don't know if we should lean in, lean out, or lean on someone, Nancy Zieman's voice of calm, experienced authority is welcome. The lessons she shares are ones every businesswoman should take to heart. Reading of the growth of Nancy's family (she is a married mother of two, one son by birth, one by adoption) alongside the growth of her show and business is both familiar and instructive to working moms. Nancy created solutions in both the workplace and at home, to carve a niche uniquely suited to her situation and talents. It's a goal to which many of us aspire. 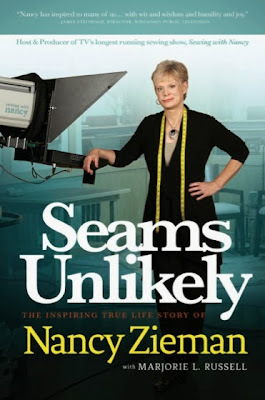 And Nancy Zieman's story gives us key insight. In Seams Unlikely, Zieman tells her story—from birth through today. While her story is inspiring—she certainly could have played the victim due to her Bell's Palsy and other health issues, but instead she became a successful entrepreneur and television host—the book would have greatly benefited from firmer editing. Some of the chapters meander through many seemingly unconnected events, and details are often repeated in multiple chapters. Also, I felt that at times there were too many details given about events, and stories that took pages to tell could have easily been pared down to a page without losing their impact. Fans of Sewing with Nancy will likely enjoy this look into the life of its creator, and they are the people who are likely to pick up Seams Unlikely. Those who only have a passing interest in the show would probably do better to visit Zieman's website. 3 stars. 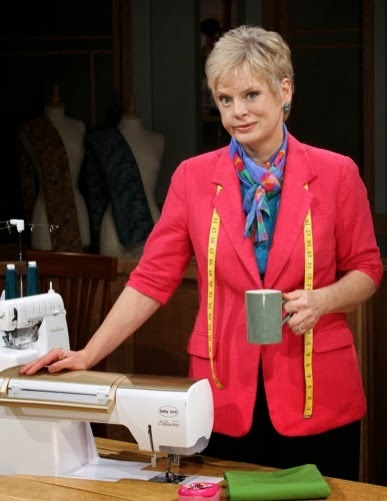 Nancy Zieman is host of Sewing with Nancy, TV's longest-running sewing show, which she co-produces with Wisconsin Public Television. It has been on-air since 1982. She is the author of over 40 books, which have sold millions of copies and instructed numerous individuals on the finer points of sewing everything from clothing to quilts to home décor. Nancy has been married to Richard Zieman for 36 years, and they have two sons, Ted and Tom. She continues to host Sewing with Nancy, which her fans loyally tune in to public television to watch. Learn more at SeamsUnlikely.com. Disclosure of Material Connection: I received this book free for review from Glass Road Media & Management. I was not required to write a positive review. The opinions I have expressed are my own. Also, some of the links in the post above are “affiliate links.” This means if you click on the link and purchase the item, I will receive an affiliate commission. I am disclosing this in accordance with the Federal Trade Commission's 16 CFR, Part 255: "Guides Concerning the Use of Endorsements and Testimonials in Advertising." did you hear the news that she is retiring due to health reasons? No, I hadn't heard, so thanks for telling me! I just went looking and found her blog post about it.